In the same bay, one can find Matzakoura beach with the little island opposite which turns this beach into a natural swimming pool because of its secluded setting. The mud rocks on the beach are perfect for a natural beauty treatment since the mud deposited on them contains sulphur. Have fun rubbing each other with this gift from nature (don’t forget to take funny pictures). It’s the perfect place to read, interrupted by an occasional dip in the sea. Around this natural bay, a lot of Greeks from the area have their summer residences. During the months of July and August, you can enjoy your coffee at the café-restaurant situated right next to the beach. 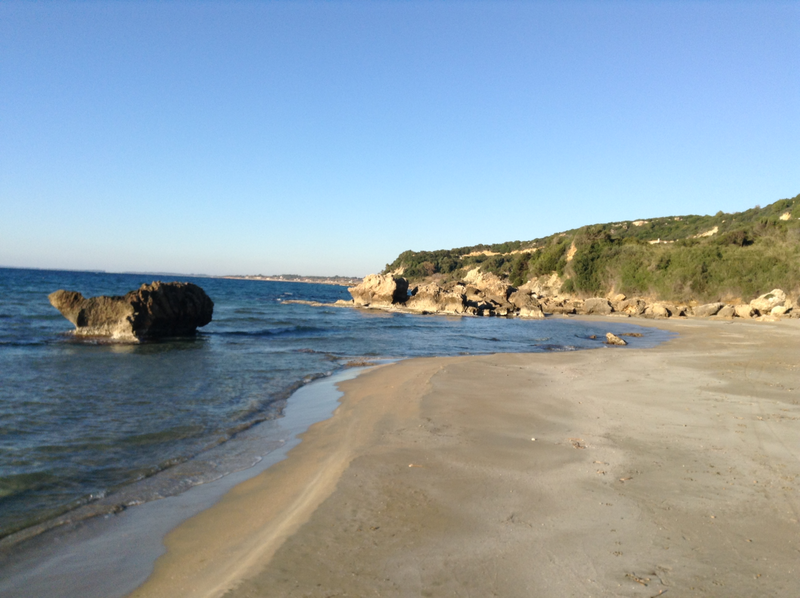 Distinguishing features of both the small and large Leventochori beaches are the coarse, dark sand and the rocks. The waters here are very shallow and that makes this beach ideal for families with young children. During the months of July and August, there is a little canteen, sun beds and umbrellas to enjoy your coffee literally on the beach. The fine sand, shallow blue waters and the green background of the hill that rises above, characterize the beach of Skafidia. 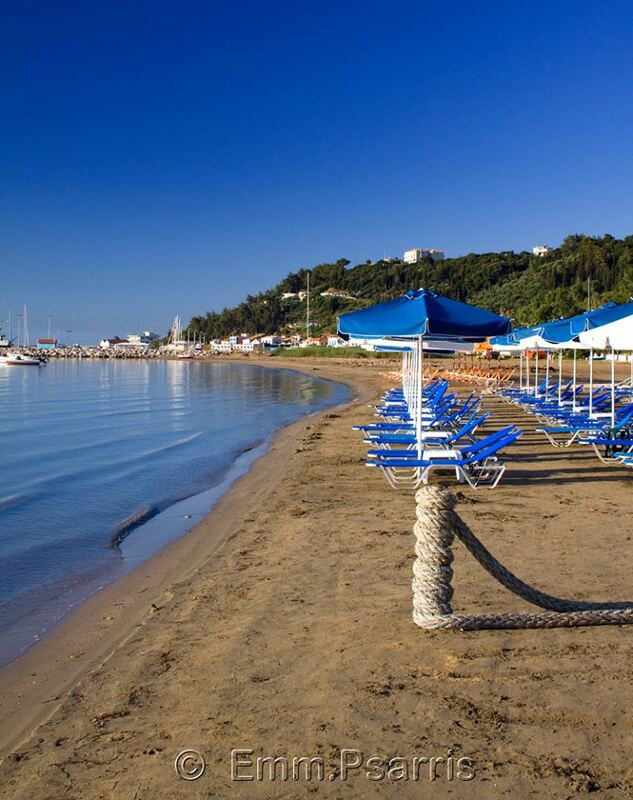 This is the beach where a lot of retired Greeks and foreigners alike enjoy themselves in the morning. Close by, there is a bar-restaurant (open July-August) where you can enjoy your coffee or the local delicacies after a swim. A reference point in the area is the luxury resort belonging to the Aldemar hotel chain, which has organized one of the best commercial beaches. Please note that they charge you for using the sun beds and umbrellas even if you order a coffee. On all the other beaches sun beds are usually free of charge (if, of course, you buy consumption). The beach near the village of Agios Ilias, with its exotic beauty, is known to many as the California of Ilia due to its hot white sand and blue sea. 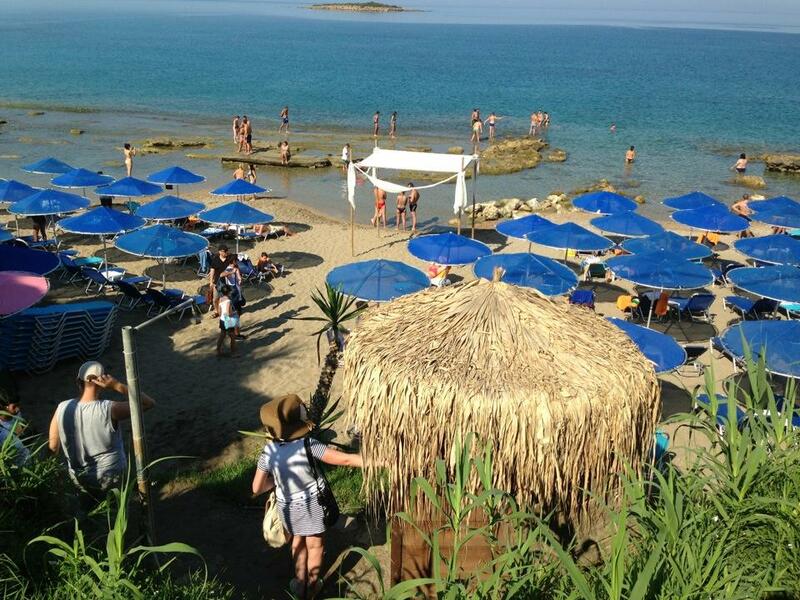 During the months of July and August there is a nice little tavern on the beach (Talaiporia tavern). Here you can enjoy your ouzo with a plate of appetizers. 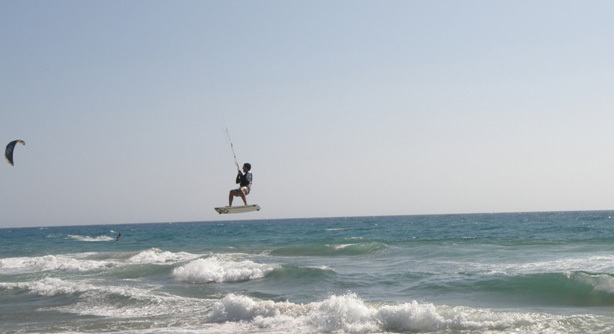 There is even a school for kite surfing. Waters here are quite shallow and, therefore, ideal for beginners. Also working during the winter months, however with more extreme conditions and high wave. Ideal for wave riding; the spot for the winter has been quite well known to surfers for many years.